Earn $3.30 in VIP credit. Click to Learn More. 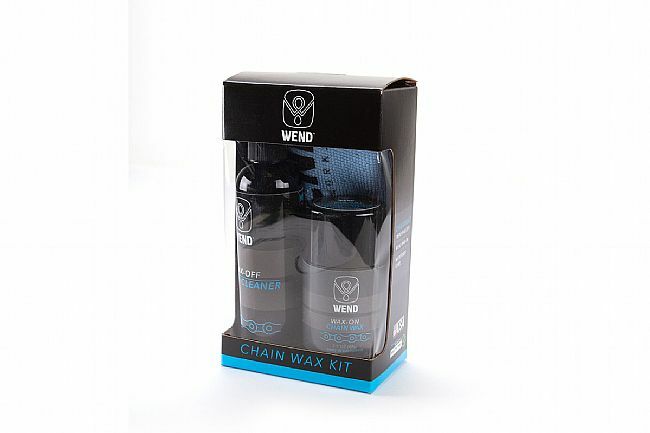 WEND Waxworks Wax-off/Wax-on Cleaner and Chain Wax Kit is a “rub‐on”, wax based, chain lubricant. It keeps chains clean while reducing friction and noise. After two years of development, R&D at WEND came up with Wax‐On, a sophisticated paraffin based formula that includes proprietary friction reducers as well as proven lubricants such as Zinc and Teflon. The application is a cinch -- simply rub the wax onto the chain rollers for a race-ready chain in a matter of seconds. The Graphite Black Formula goes on the same way as the colored waxes, but runs smoother longer. Use this formula on the road or dirt when you're looking for the longest intervals between waxing. 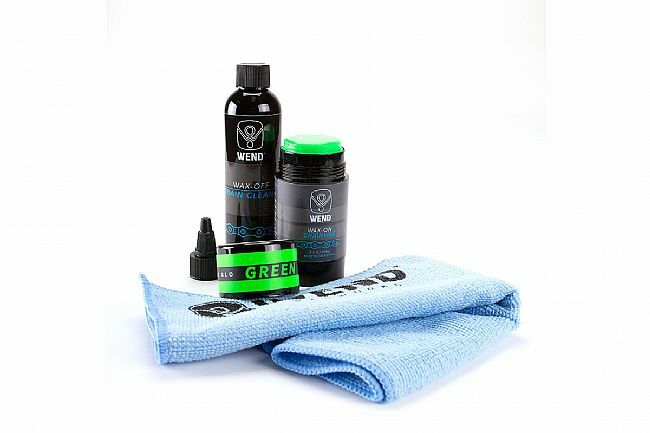 The WEND CHAIN WAX KIT contains 1- WEND WAX-OFF, 1-WEND WAX-ON, and 1-WEND MICRO TOWEL.